I think the concept behind this story is pretty unique and intriguing. To have a new part of the story published weekly, eventually creating a full novel, is a smart marketing decision. It makes for a fast paced and quick read that leaves you with a longing for the next installment once you have reached the end of each section. I wasn’t really sure where this story was going until about 75% of the way through. Honestly, I’m still a little unsure of where this story may go. I went into this one blind and didn’t read the synopsis before hand. 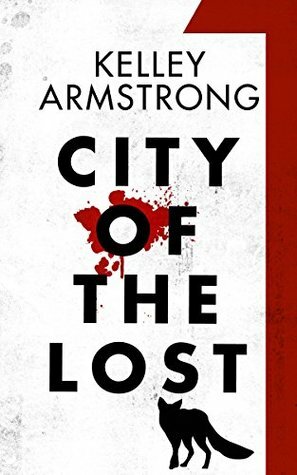 For the most part, I decided to pick up City of the Lost because (1) it was a mere 99 cents on the Kobo website and (2) the cover was quite intriguing. I hate to admit that I judged this book by it’s cover, but it reminded me a lot of one of the variations of the Station Eleven cover by Emily St. John Mandel. The writing is fast paced and easy to follow. I’m hoping for some more character development as the story goes on. I enjoyed the back story of the main character Casey, but I’m also hoping to learn a little more about her and the other secondary characters, Diana and Kurt. Stay tuned for my reviews on the future sections of this story as they are released weekly! Maybe I’ll even do a big wrap up after reading them all! Also, a friendly reminder that in addition to my book reviews, you can now find all of my Film, Television and Music reviews over at Pop Culture Canuck!